Washington said it is consulting directly with the Libyan opposition and supporting its efforts through aid, including the delivery of body armour to Libya. France in March became one of the first countries to recognise the rebel-backed Transitional National Council as the legitimate leader of the Libyan people following a U.N. decision to support military action to protect civilians. Europe’s High Representative for Foreign Affairs Catherine Ashton expressed initial hesitation but in May said the European Union was interested in setting up an office in the rebel capital Benghazi. Washington said it “strongly” encouraged broad-based assistance for the TNC either directly or through international contact groups. Members of the TNC sought formal recognition from Washington earlier this year. Mark Toner, a spokesman for the U.S. State Department, had said the emphasis on recognition wasn’t necessarily an “end game” to the situation in Libya, however. 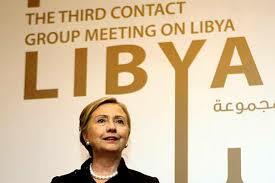 Nevertheless, the U.S. State Department said it was assessing additional options for assistance in Libya. “We are consulting directly with the opposition and our international partners about these matters,” a statement read. Washington under a $25 million assistance package for Libya has delivered food supplies, uniforms, libya body armour and other non-lethal items, the State Department added. Some U.S. lawmakers are critical that U.S. President Barack Obama has committed military assets to international operations in Libya without the explicit approval of Congress.